From smartphones to advanced management software to solar panels, self-storage operators are embracing technology to streamline facility operation, generate revenue and save money. Those who use and master the latest tools keep pace with rapidly changing customer demands and ensure their facility is viewed as modern and convenient. 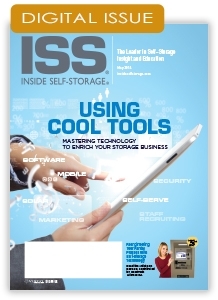 This issue of ISS highlights ways to apply technology to your everyday business, including guidance on topics such as management software, video, call centers, mobile, solar technology and more.